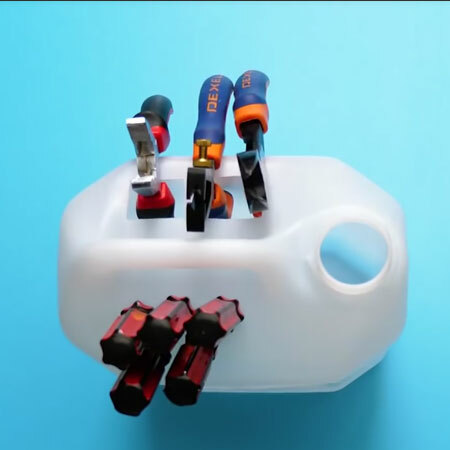 Here's a wonderful way to recycle plastic bottles and make a handy tool caddy for your home workshop. 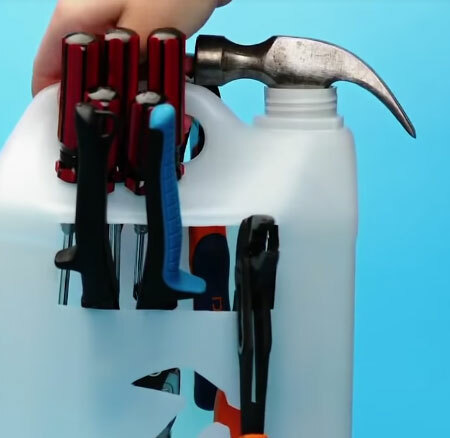 If, like me, you enjoy recycling plastic bottles, you will love this one where you can turn a plastic container into a handy tool caddy. 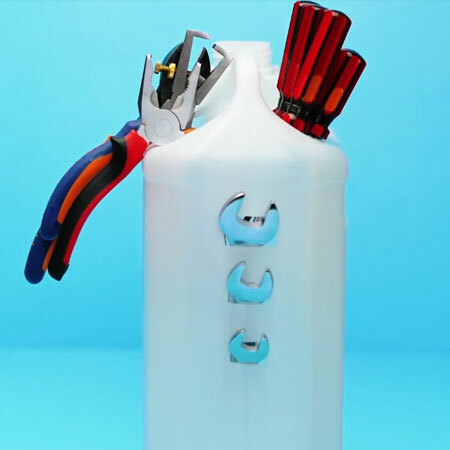 This is a great project for keeping essential DIY tools handy for when you need them and also lets you find what you need without having to dig through drawers. 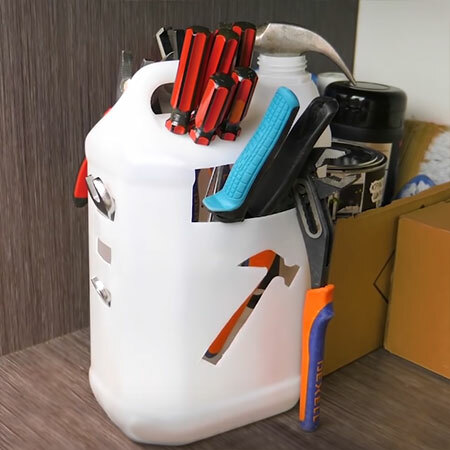 All your basic tools can be stored in the tool caddy and then it's easy to carry around the house when you need to do repairs. 1. 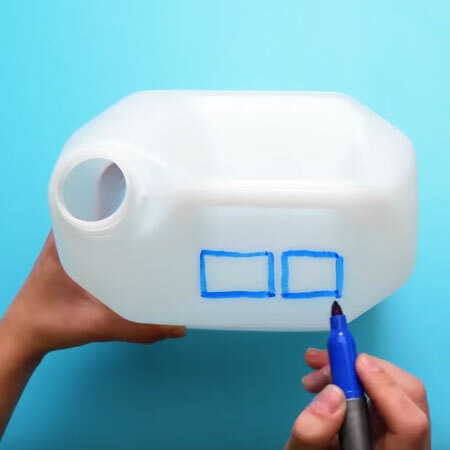 Draw some rectangular and circular openings at the top of the plastic container. 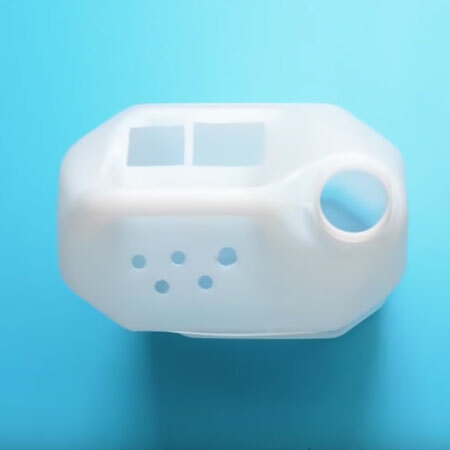 On one side you will be making holes to put your screwdrivers at the top, and the rectangular holes will be used to store larger hand tools such as pliers and cutters. 2. 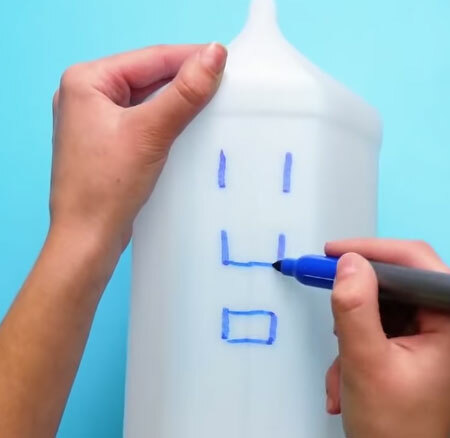 Once you have drawn these - cut them out with sharp scissors or a craft knife. 3. 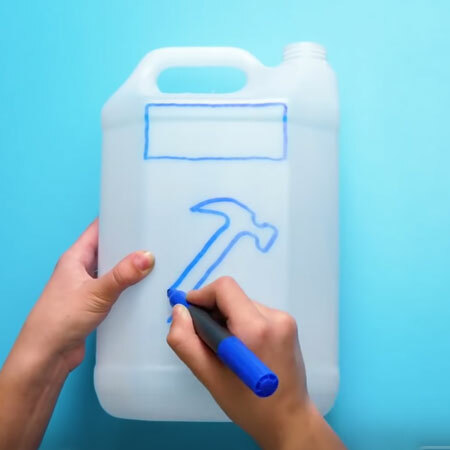 Moving onto one side of the plastic container, again draw a large rectangle and a hammer shape. 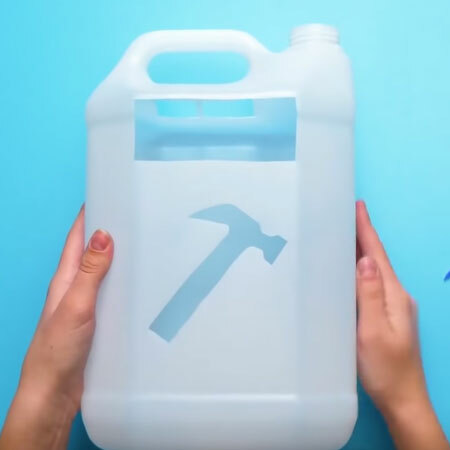 This larger rectangle lets you store larger tools for easy access, while the hammer is just for fun! 4. 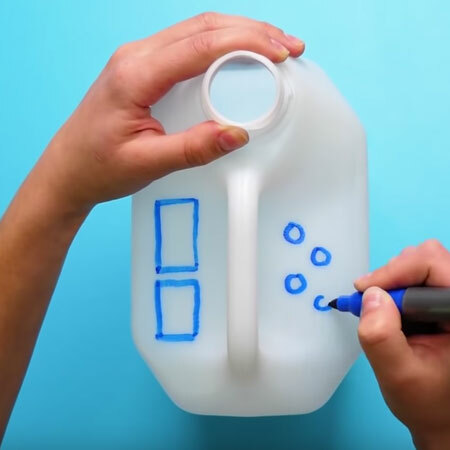 Once again, cut out the shapes with sharp scissors or a craft knife. 5. 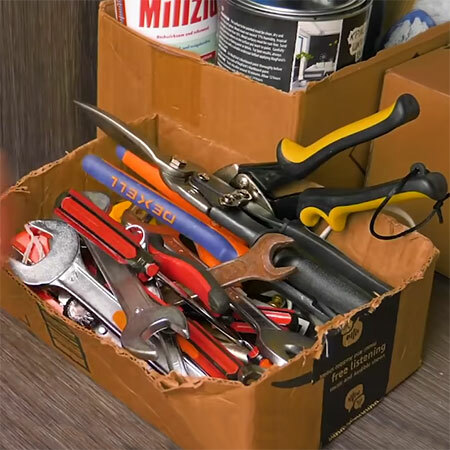 Cut out some slots down the one side of the container to house assorted spanners or wrenches. Now all that's left to do is pop in your hammer and load up your tools.